If your rental car gets stolen while in your possession, you could potentially get hit with a huge bill. Buying the rental car insurance over the counter may shield you from some of the monetary responsibility, but you still may be on the hook for some of the liability. It's vital that you act as soon as you discover the theft. Waiting could cost you more. Of the more than 92,000 rental cars stolen in the United States between 2015 and 2018, the vast majority were not the fault of the renter. Here's what to do if it happens to you. Call the police. As soon as you realize the car has been stolen, report it. Explain that the car is a rental. If you have the rental contract available, or if you can access information about the car via an app, provide it to the police. Describe any personal possessions that you left in the car, such as a suitcase or electronic equipment. All rental car companies require calling the police as the first step. Failure to promptly notify the police nullifies any coverage. Your instinct might be to call the rental car company first, but the rental car company will ask for the police report number. 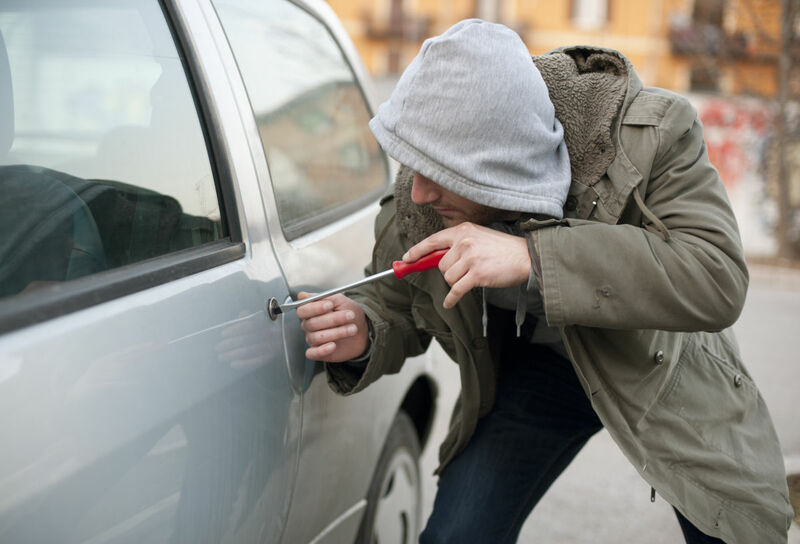 Some states require the vehicle to be reported stolen before the vehicle can be traced. Call the rental car company. Next, report the theft to the rental car company. Request the car's license number and vehicle identification number (VIN), which you will need to fill out the police report. When you call a rental car company's toll-free number, you will likely have an option to select reporting loss or damage of the rental vehicle. Be sure to document the details of this conversation. Get the representative's name, title, and phone number. Provide all information requested by the company. Verify with the rental car company whether you opted for any coverage with your rental. The one that you're looking for is called collision damage waiver (CDW) or loss damage waiver (LDW), which will limit or eliminate your responsibility for loss and theft. Third-party liability or personal accident insurance won't cover your rental car. Ask for an incident report form. Regardless of whether you purchased protection from the rental car company, you'll need to fill one out. The sooner you can provide this, along with the police report number, to the rental company, the greater the chance the rental company will be able to recover the vehicle. Contact your auto insurance company and credit card company if you did not buy coverage from the rental car company. Ask representatives at both companies if rental theft is covered. If you do have personal auto insurance, it is likely that your credit card company offers secondary coverage. Get a replacement car. If a rental is stolen and properly reported, the rental car company will close the contract on that vehicle. That leaves you potentially stranded without a car. The rental car company may or may not allow you to immediately rent another car. If not, don't take it personally but do seek out a car from a different rental car company. When you sign a car rental contract, you take responsibility for returning the rental car in the same condition. Without appropriate car insurance, you could get stuck paying for a vehicle (or worse) if an incident or accident occurs. When you rent a car, the rental car company will offer insurance that you can buy over the counter. If you opt to buy full coverage from the rental car company, you will be covered if the car is stolen, provided that you were not violating your contract at the time of the theft. Many drivers decline the insurance offered by the rental car company because they have coverage through their personal auto insurance policy, credit card benefits, or a combination of both. Be aware that in most cases, personal auto insurance will provide primary coverage and the credit card will provide secondary coverage. This means that a theft claim would go through your personal insurance first. The credit card's secondary coverage normally takes care of just the deductible or whatever the primary insurance does not cover. The risk is that the theft claim would result in your personal automobile policy premiums going through the roof. If you use a premium credit card to book the rental car, you may have primary coverage that is more substantial than what is provided by a basic card. If the car was stolen while you were breaking the rental agreement, violating the law, or directly contributing to the vehicle's theft, you will be fully responsible for the vehicle's cost. The first thing the rental car company will ask is for you to return the car keys. If you are unable to produce the keys for a reason in your control, life is about to get bad (and expensive). For example, let's say you left the keys in the vehicle or got out of the vehicle and left it running, and then the car was stolen. Your negligence will nullify any theft protection coverage. Every coverage comes with inclusions, processes, and exclusions. What's important to note among all these levels of protection is that the renter has some responsibility to protect the vehicle from theft. For instance, the State of California has aggressively consumer-friendly rental car laws but sticks the renter with the bill if he or she can't produce the car key or declines to file a police report within 24 hours. Some rental car locations allow you to return a vehicle after closing hours. The protocol is typically to park the car in a well-lit lot, lock the car, and drop the keys in a dropbox. The rental car company staff will process the return when the office reopens. It's important to note, however, that the renter is responsible for the condition of the car until fully checked in. What Happens if My Rental Car is Vandalized and My Possessions Stolen?